Approx. 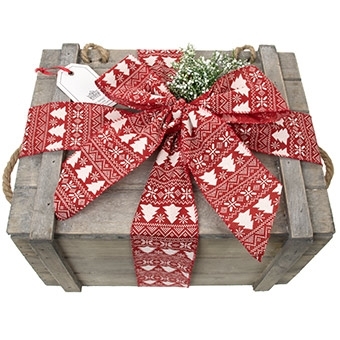 size - 12" x 10" x 8"
The Holiday Entertainer arrives beautifully decorated with a beautifully hand tied ribbon and includes a gift card with your personal message. 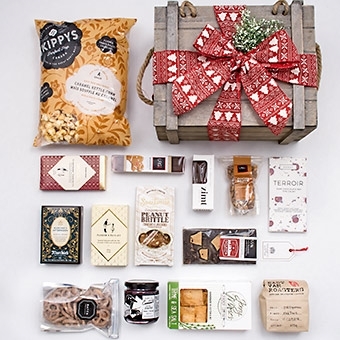 If you select personalized ribbon, the imprinted ribbon with the text or company logo will be tied around the box instead of the regular ribbon we use.